Drug and alcohol addiction affects each person differently, and the prospect of detox and recovery can be daunting, especially when facing it alone. 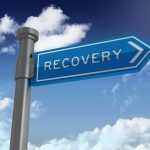 Rehab Guide can provide expert advice to anyone looking for drug and alcohol rehab in Aberdeenshire. The area boasts some of the best treatment centres available with some of the best programs and residential facilities. For those suffering from a severe addiction or withdrawal, hospital rated rehab clinics are available in Aberdeenshire. These clinics provide an extra level of safety and medical facilities for those who are particularly concerned about the withdrawal and detox period of their recovery. Rehab Guide shares the widely held belief that detox, rehabilitation and recovery are deeply individual experiences, with each person facing from their own addiction challenges. Not only do we select the rehab clinic with the best facilities and treatment options for you or a loved one as an individual, but the clinics we recommend to our clients are also dedicated to the same principles. Bespoke addiction programs with a holistic approach to treating not only the addiction but the psychological, emotional and physical effects as well. The drug and alcohol rehab centres that we recommend in Aberdeenshire offer counselling from trained and experienced counsellors both on an individual basis and in group therapy. Additionally, the Aberdeenshire rehabs we offer have trained psychiatrists available as well as advisors on mental and physical health. These clinics use CBT (cognitive behaviour therapy) to help people suffering from addiction to asses the reasons why they are addicted and correct the behaviour patterns that led them to addiction in the first place. Residents are encouraged to take part in positive and healthy activities depending on their interests. Walks in the beautiful Aberdeenshire countryside, art and music therapy are just some of the ways in which those struggling with addiction can refocus their energy and move forward with their lives. Detox and rehab are seen by many people as one and the same. The idea of ‘drying out’ or getting drugs out of the system is the first step in the recovery process. The modern world of detox is a very different one to what many people picture. With dedicated medical professionals at hand to administer medication appropriate to an individual’s addiction managing withdrawal symptoms and easing the transition to sobriety is possible. The rehab clinics that we offer also have dedicated staff round the clock, either counsellors or medical nurses to take care of clients’ every need. Rehab Guide is able to offer fast admissions for those concerned that the opportunity for recovery might slip by while you or a loved one is sitting on a national health service waiting list. Rehab Guide can help with your admission and advise on transport to a rehab clinic in Aberdeenshire that suits you. Upon admission, residents meet with a detox doctor who will prescribe the appropriate medication for them. Most detox. Following this, when the resident is ready, their counsellors will discuss a personalised treatment program based on their needs. The clinics that we recommend in Aberdeenshire all have long-term recovery in mind for their residents. The latter part of any rehab treatment program will involve coping techniques and introduction to the 12-steps. When a resident is preparing to return home after a rehab program, they will receive support not only from their own support network built up during family therapy sessions but other rehab groups near them. Meeting regularly with other people dealing with addiction is an important part of continued recovery. To this end, the AA (Alcoholics Anonymous) and NA (Narcotics Anonymous) can be found in Aberdeenshire and all over Scotland and the U.K. Contact our admissions team for free assessment and help with finding an alcohol or drug rehab in Aberdeenshire and find Alcohol Rehab Centres throughout Scotland. Phone 0122402080 or 0141 427 3491.